What are the Causes & Symptoms of Ear Infections? An ear infection is one of the most uncomfortable ailments. Whether you are the sufferer, or your child, the ear pain associated with an ear infection can lead to a lot of lost sleep. You may wonder what the cause of an ear infection is, and exactly what goes on during an ear infection. The most common type of ear infection is one located in the middle ear. This is the space behind the eardrum. An ear infection can be an infection all by itself, or can come along with the cold or the flu. Also, middle ear infections are extremely common, especially in children because the middle ear is actually attached to the respiratory tract by something called the eustachian tube. Any germs in the nose of the sinuses can actually climb up this tube and into the middle ear. The cause of an ear infection is simple. The eustachian tube is meant to keep the middle ear clean and dry. It helps the area stay well ventilated. When this tube gets blocked by drainage, fluid, bacteria, or any other object that does not belong it becomes damp and warm. This is the perfect environment for germs to grow. 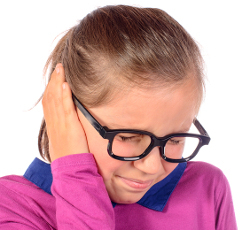 If you or your child is suffering from a possible ear infection, contact QuestCare Urgent Care today.